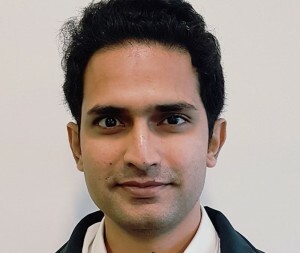 Specialist energy management firm SMARTech energy has appointed Abhiram Mokasdar as lead energy consultant to support its growth ambitions. Abhiram, pictured, completed his master’s degree in mechanical engineering in the US and joins Corsham-based SMARTech energy from India-based DRA Consultants, where he was the senior mechanical engineer working within India’s energy and water sector. His key achievements included an energy audit of India’s fifth largest city and managing the implementation of eco-friendly smart city transport in all major cities. SMARTech energy founder and managing director Stuart Pearce said: “I’m really excited to have Abhiram join our growing energy consultancy team. We are really impressed by his work ethos, experience and knowledge and this has already identified him as a key asset for the company. “This appointment is a further endorsement of SMARTech energy’s commitment to deliver the best energy management services, products and customer service." SMARTech energy, which was launched in 2014, offers an energy management and reduction service for businesses, in some cases slashing energy consumption costs by as much as 50% year on year.